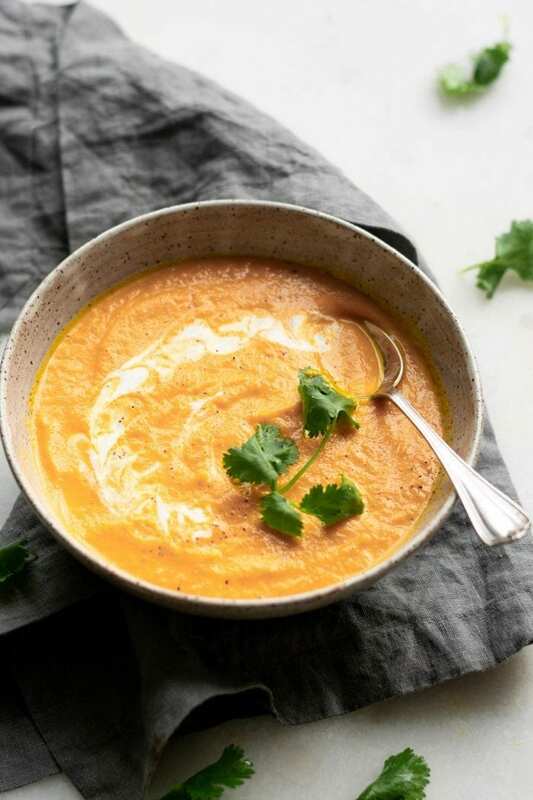 This incredible Coconut Ginger Carrot Soup is so easy to make and has the most amazing, slightly sweet and perfectly spiced flavour. If you love flavours like coconut and ginger, you’re going to love this filling, nourishing, vegan carrot soup. You’ll need a large saucepan or medium to large-sized soup pot to start. 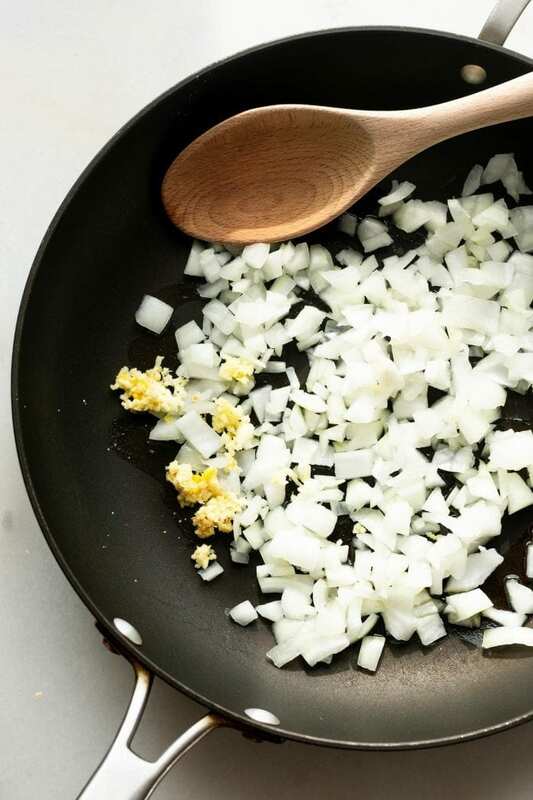 The first thing you want to do is saute the onions and garlic to bring out their flavour. You can use 2-3 tsp of olive oil, water or vegetable stock to cook them. After a few minutes, add the carrot and ginger and give it a good mix. 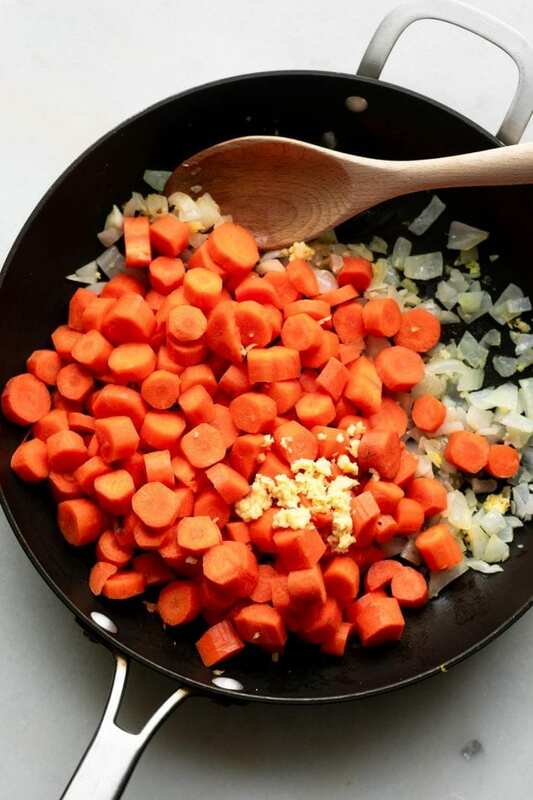 After the carrots, onion, garlic and ginger and smelling all wonderful and delicious, you can add the spices. I used cumin and coriander which work nicely with the coconut milk. For an alternative, you could do curry powder and turmeric or even a little pinch of cinnamon. You can add a pinch of salt and pepper too at this point, if you like. After that cooks for another minute or two, add the coconut milk and vegetable broth, give it a good stir and let it simmer away until the carrots and tender. Now it’s time to blend! You can use an immersion blender in the pot which will work just fine but the smoothest results, I’d recommend using a Vitamix or other high-speed blender. Carefully transfer the soup to a blender and blend until smooth. Just be sure to allow the steam to escape as you blend by cracking the lid. 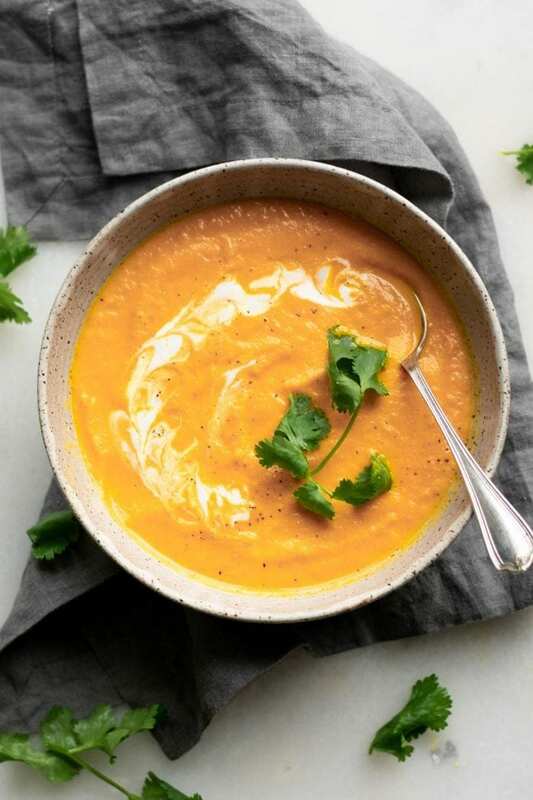 Creamy is where I went with this incredible coconut ginger carrot soup. Even better, this soup is an amazing immunity-booster just in time for cold and flu season. The fresh ginger, carrot, garlic and onion are all packed with antioxidants, vitamins and minerals to help your body defend itself this season. To help stay healthy this cold and flu season, think rainbows when you’re creating meals. The more colour you can get in your diet, the better, making this soup the perfect place to start. 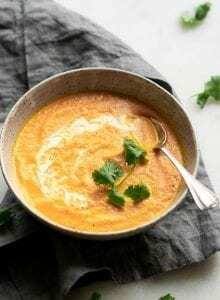 This spiced coconut ginger carrot soup is ready in no time, full of flavour and so easy to make. In a large saucepan, cook the onion and garlic in either 2 tsp of olive oil, vegetable stock or water for 3-4 minutes until soft and fragrant. Add the ginger, carrot and spices, stir to combine and cook for another few minutes. Add a little splash of vegetable broth if the pan starts to dry out. 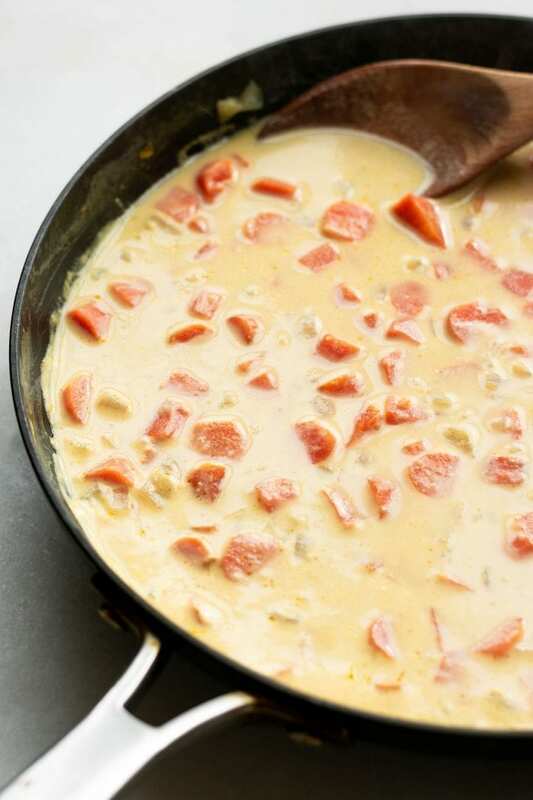 Add the coconut milk and vegetable broth and let simmer lightly, uncovered for about 20-25 minutes or until the carrots are cooked through. 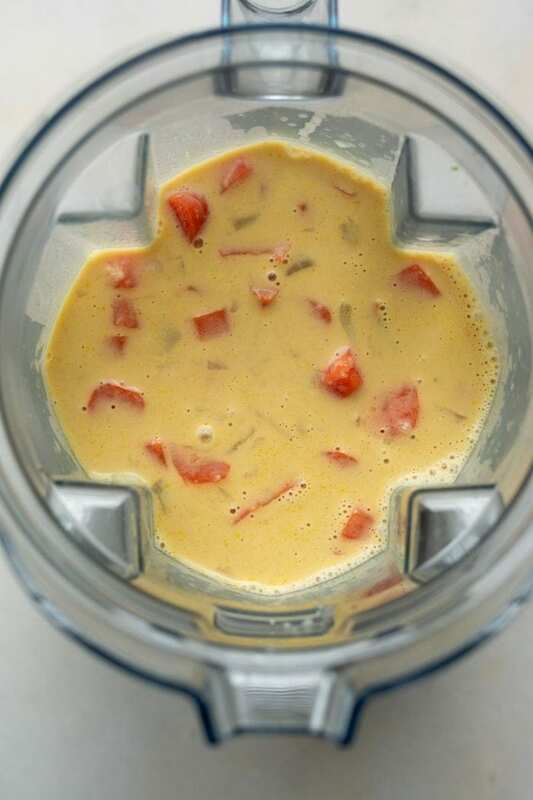 Either use an immersion blender right in the pot or transfer the soup to a blender and blend until smooth and creamy. Serve right away with toppings like fresh cilantro and a squeeze of fresh lime juice, or store in the fridge up to 5 days. Can be frozen up to 3 months. If you find it to be too thick when you’re done, simply stir in some extra vegetable stock, water or non-dairy milk. 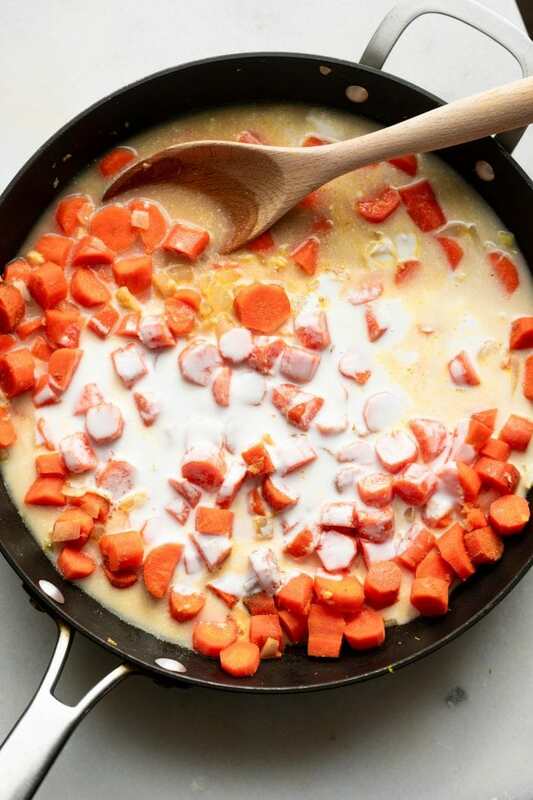 Love a carrot ginger combo and I love the creamy coconut here! mmmmm this recipe just screams fall! I can’t wait to make this on a chilly day! Hey Deryn, I was just wondering if there’s a reason you don’t provide nutritional info for your recipes. I know you must calculate it if you’re doing IIFYM, but it would be SO helpful if you could post it with the recipe! Today was my first full day of tracking (vegan) macros and I’m finding it a little tough, especially with the time it takes to calculate macros for everything I’m eating if it’s from a recipe (instead of a packaged, processed food). I haven’t felt the need to track with 100% accuracy lately, I’m just training hard and eating well and still seeing results. For now, I’m just keep an eye on my protein intake to make sure I’m getting enough. 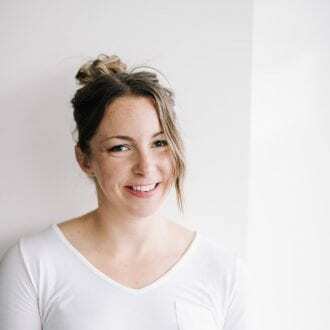 Once I’d tracked for a few months I pretty much knew what I needed to eat each day and I know what my portions should look like, so with my current goals I don’t feel it necessary to track every single item down to a tee. When I was tracking everything, I would have to do the same as you and enter everything in, including recipes, it takes a little time yes, but you’ll get used to it. Once the recipe is in MyFitnessPal, at least it’s there for good! I will try to provide nutritional info moving forward however, I’d recommend just adding any recipes you make into MyFitnessPal, it really only takes a minute or two then it’s done! I was having to do that a lot too because I don’t really eat much processed foods. Good luck! Wow, this look awesome. It is one of my favorite. Yum! 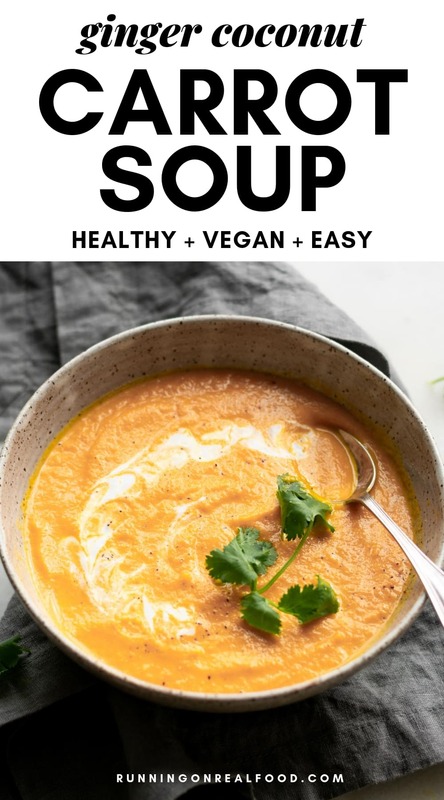 This looks delicious and the thicker my soups the better. Found your blog through your post from January about 17 bits for new Crossfitters. Always excited to find new CF ladies to connect with. Wow this turned out delicious!! I subbed half a butternut squash insead of 2 carrots. And added thyme. Yum!! Yummy, sounds amazing with butternut squash! I just made this delicious soup! It was a quick meal, healthy and I will definitely make it again. Even my boys ate it. Looks delicious! Do you use canned coconut milk or from a carton? Canned coconut milk…you could use carton, it just won’t be as thick and creamy. Will this recipe still be good if frozen? I made this recipe and it was delicious. 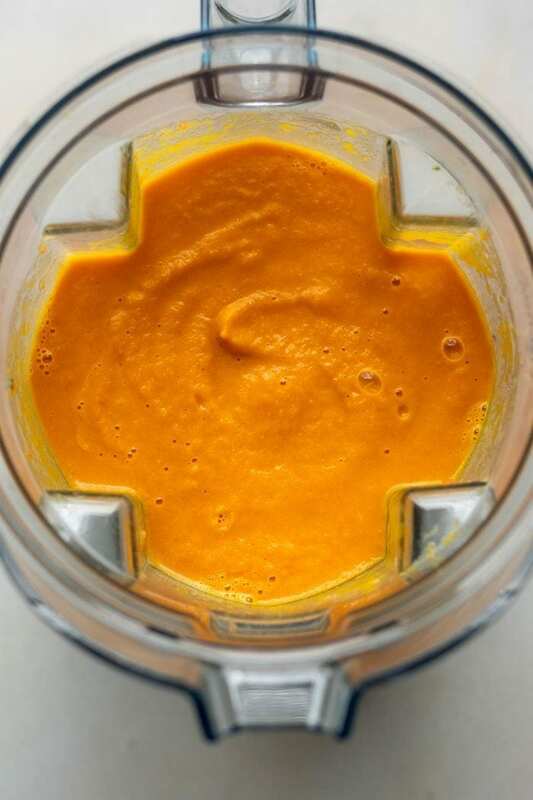 The orange color of the carrots really comes through once you blend it at the end! Highly recommend this recipe. Thanks Sofia! So glad you liked it. I followed the recipe exactly. It was fabulous! I would never have thought carrot soup could be so delicious. This recipe is definitely going in my “Regulars” folder. Awesome! So happy you liked it! I love this one too…it’s so flavourful! This looks SO good Deryn! Love any soup with coconut milk in it! Are you saying it took you only 5 minutes to prep? It tool me 20 minutes alone to cut the carrots!! It was heavenly though, thank you! Haha, I’m super speedy! But I could probably increase the prep time to 10-15 minutes, you’re right. I’m glad you enjoyed the soup and thanks for the heads up on the prep time. I’ll adjust that! I just got my Vitamix today, and made this my first soup recipe! this was so delicious, and your recipe was so easy to follow! I use fenugreek powder and didn’t use coriander, because I didn’t have it. Thank you! Ooh, so exciting! Happy Vitamix day! Glad you enjoyed the soup and have fun blending!